This is a journey that takes us into the endless heart of biodiversity, the Amazon Basin. 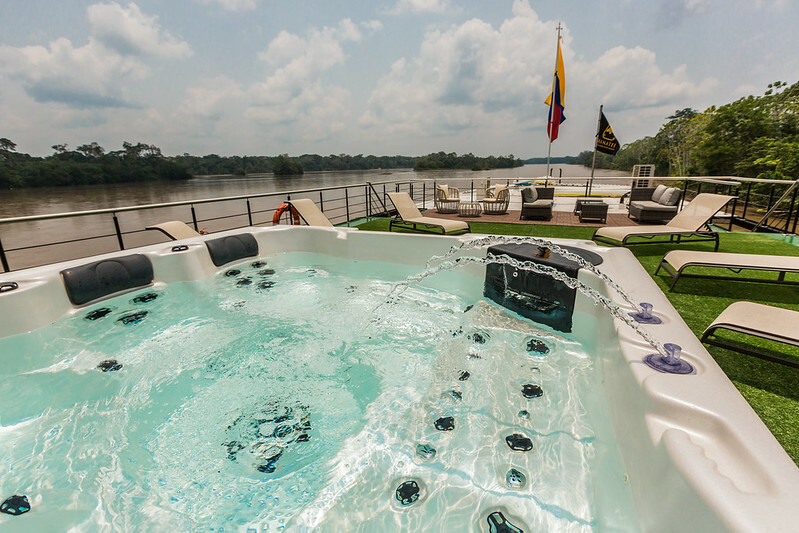 Given the remote and pristine nature of this jungle, the very best way to explore it is by navigating down the Napo River on exclusively - designed vessel set to explore the Amazon in style. 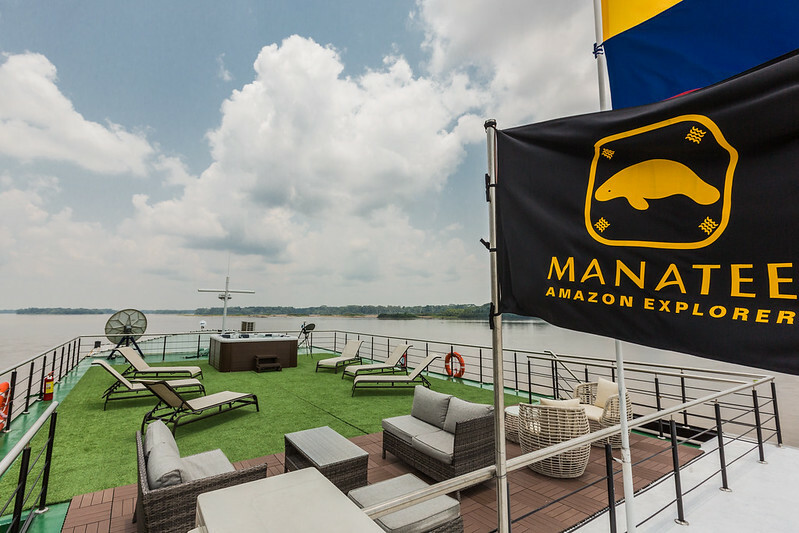 The M/V Manatee Amazon Explorer allows our guests to experience unparalleled adventures in total comfort. Journey with us down freshwater rivers, both whitewater and black water, and encounter different Amazonian ecosystems, including the possibility to observe fascinating animals such as pink river dolphins, manatees, caimans and piranhas, as well as hundreds of native bird and primate species. We are committed to caring for natural resources and the conservation of local cultures by applying responsible and sustainable tourism practices and community involvement in all of our operations. We have also initiated Capi’s Amazon River Station (CARS). This is a program that manages 3 non-profit sustainable rescue projects for endangered animals in the Ecuadorian Amazon Rainforest: The Charapas turtle, the Pink River Dolphin, and the Manatee. Please Note: your voyage rates do not include Air Tickets Quito - Coca - Quito. 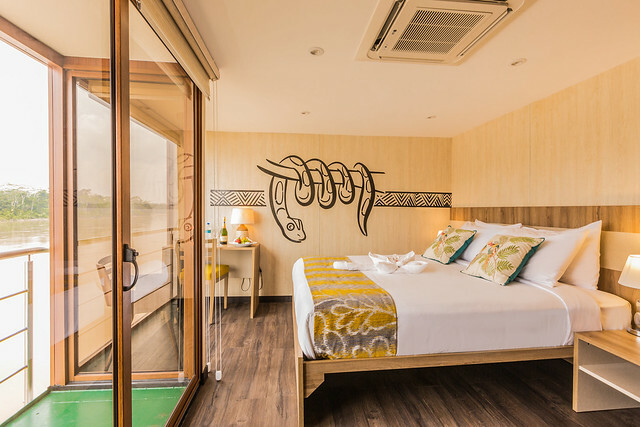 Each cabin is equipped with air conditioning, closets, a private bathroom complete with a special shower massage, hot and cold water, 24-hour electricity and 110-voltage outlets and switches. Our adventure begins in the city of Quito, Capital of Ecuador. After taking a short 30- minute flight from Quito to the Amazon city of Coca, located in the Province of San Francisco de Orellana, we will transfer to the dock and board our motorized canoe to begin our journey down the river for approximately an hour and a half, taking in the first sights and sounds of the Amazon. Soon, we will reach the M/V Manatee Amazon Explorer and receive our welcome aboard. Once we have settled into the M/V Manatee Amazon Explorer, we will be joined by expert local naturalist guides who will provide us with a brief and informative introduction to the Ecuadorian Amazon, after which guests will have their first opportunity to discover the exciting features of our cruise ship: spacious social areas, comfortable suites, and the observation deck that allows us to admire the changing rainforest landscape as we glide down the Napo River. After dinner, we will plunge straight into the Amazon by going for a nighttime forest walk to observe the forest’s nocturnal activity and experience the thrill of the vivid noises and aromas that come from so much biodiversity. This is where our adventure ends! Enjoy the last part of our return journey onboard and then disembark the M/V Manatee Amazon Explorer to take the motorized canoe back to Coca (one-and-a-half-hour ride). The foregoing itinerary is our standard operating model. We intend to offer everything as planned, and will make every effort to do so, however depending on inclement weather, technical or operational difficulties beyond our control, the M/V Manatee Amazon Explorer reserves the right to modify the itinerary without notice. Although expedition cruising by its very nature is characterized as adventurous, the safety of our staff and passengers is of paramount importance to us. The Manatee Amazon Explorer is fully equipped and maintained in order to handle the most challenging conditions and circumstances, and is manned by experienced and conscientious expedition staff and crew. The canoes used for daily shore landings are rugged and versatile and are operated responsibly by experienced personnel. Onboard you will be fully briefed on all pertinent safety issues and concerns, as well as our environmental policy; passengers also receive appropriate and detailed briefings before each landing. 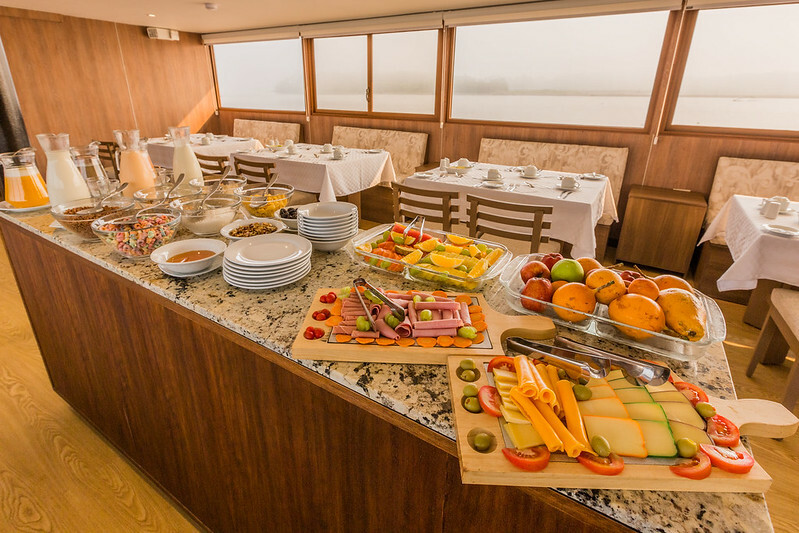 Our boat has the capacity up to 30 guests accommodate 10 standard cabins and 4 suites that accommodate. 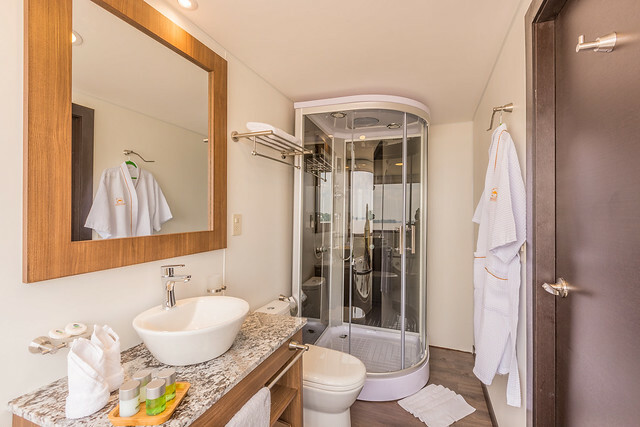 Each cabin is equipped with air conditioning, closets, a private bathroom complete with a special shower massage, hot and cold water, 24-hour electricity and 110-voltage outlets and switches. The Manatee Amazon Explorer is also equipped with a small fleet of motorized canoes. The canoes provide unlimited mobility and allow for the exploration of the most remote areas and inaccessible shores. Our vessel is comfortable, and complies with both national and international navigation —as well as safety, security, and environmental protection— standards. 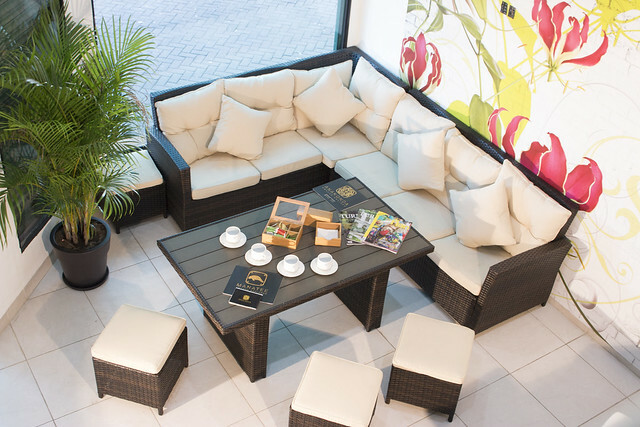 We are certified by Smart Voyager and Rainforest Alliance, entities that guarantee the sustainability of our operations. This is a journey that takes us into the endless heart of biodiversity, the Amazon Basin. 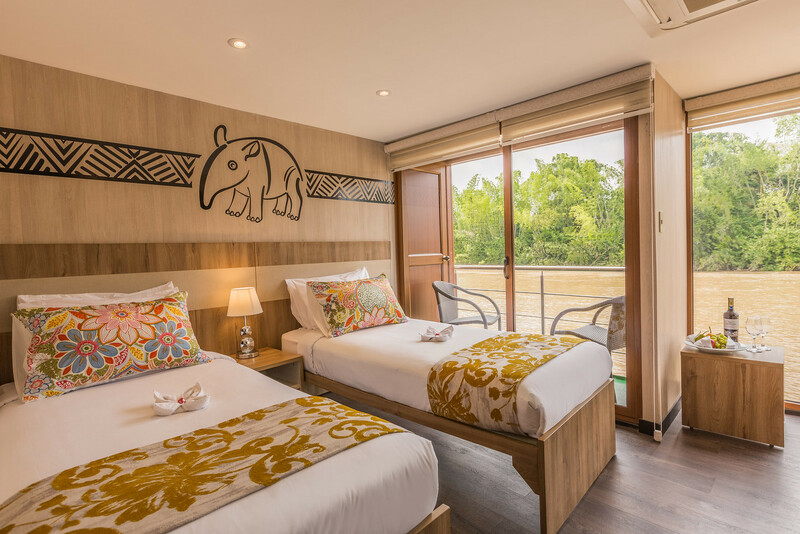 Given the remote and pristine nature of this jungle, the very best way to ......click here to read more.